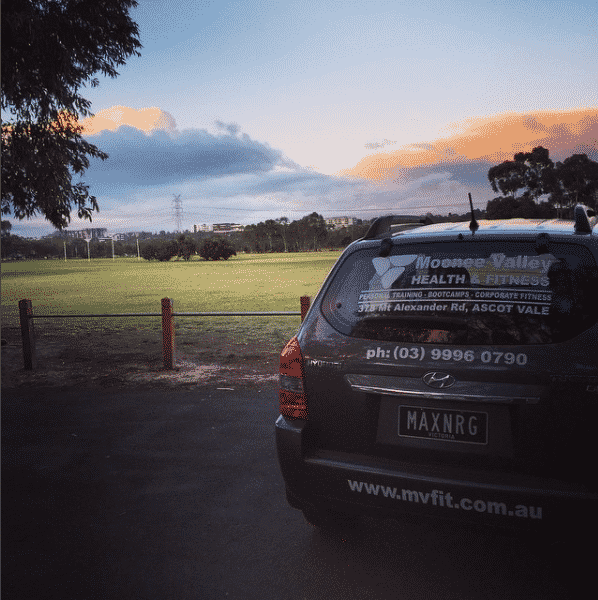 Mobile and In-Home Personal Training - Personal Trainer, Boot Camp and Exercise Physiology in Moonee Valley, VIC. Moonee Valley Health & Fitness also offer Mobile In-House Training with our sister Personal Training service MaxNRG Personal Training. Our trainers can come to your home or Local Park to run sessions tailored to you health & fitness goals. We can use your home gym and we also bring all of the equipment needed to deliver your perfect workout. Mobile training is ideal for the stay at home parent, the time poor or for those who work from home. We understand busy schedules, so let our trainers come to you, allowing you to maximize your time and get the best results! You may be a little uncomfortable training at busy gyms and want no distractions throughout your workout. We come to your home and train you in your comfortable and safe environment and get 100% focus on your session. Some gyms can be loud and full of ‘massive’ body builders or people in their latest designer workout gear, this can be off putting and intimidating for some. You will not have to worry about this in your our home or local park. Your sessions will just be with you and your trainer. Although our trainers bring all the equipment necessary for your workouts and training program, you will be surprised with the amount of exercises you can do in your own home. We will also give you ideas and at home programs you can do outside of your normal personal training sessions with us. Enquire Now about our In-home Personal Training.